Highest Certified by CGC! 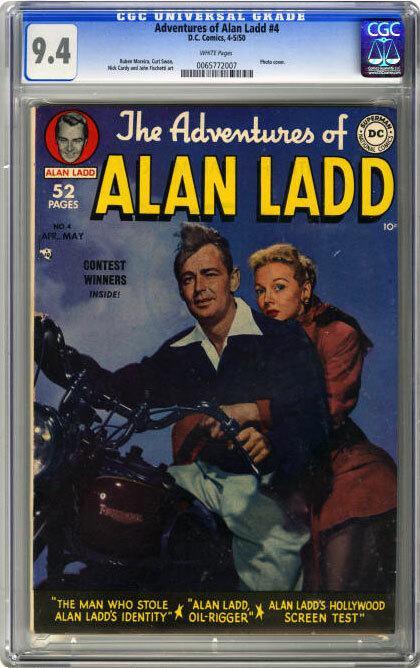 Cool photo cover featuring a beloved Hollywood leading man, Alan Ladd. Interior art by Ruben Moreira, Curt Swan and Nick Cardy.